This year's competition theme is Undiscovered Vermont. 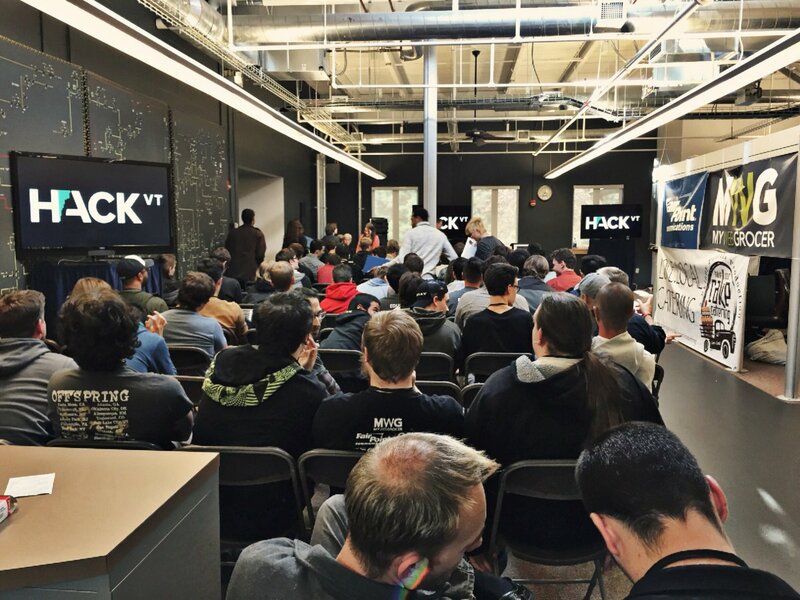 The 7th annual HackVT competition is right around the corner! On October 13th & 14th approximately 100 participants will come together at Green Mountain Power’s Inspire Space for 24 hours of coding. Teams will compete for cash prizes and will have the opportunity to take home other items from quickfire challenges and raffles. Interested in participating in this FREE event? Click here for more info and a link to register! This year’s theme is Undiscovered Vermont! Everyone knows about Vermont’s maple syrup, fall foliage, beer and world class skiing - but do they know about our semiconductor, spatial analytics and puppeteering industries? What about where to find secret caves, amazing barbecue, and locations to view the Northern Lights? What about foot traffic, snowfall, tourism, emergency response, road maintenance, wildlife movement, and business and job growth patterns? For this year’s HackVT theme we’re asking teams: What can you discover about our State and how can you communicate it in a valuable way? What can you discover about our landscape, demographics, economy, government, and environment, and how can you provide access to that information through an application that provides value in Vermont and beyond? Come join us at HackVT and create tools to explore the ecosystem through geospatial data, get a new perspective and build an app to share your story with the rest of the community. The Lake Champlain Regional Chamber of Commerce produces HackVT as part of it’s mission to develop, attract, and retain a talented workforce and support business growth. HackVT provides developers from local businesses the opportunity to network and showcase their talent through friendly competition.